Nintendo SNES, DEMONS CREST (Authentic) Genuine Super Nintendo Excellent cond! Demons Crest (SNES) Cartridge W/ Dust Protector. GREAT Condition! Tested! 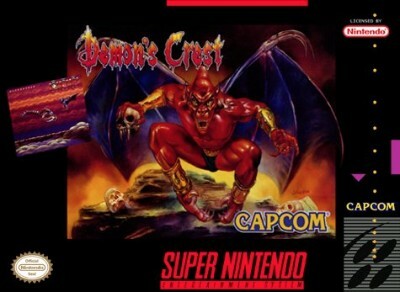 Demons Crest (Super Nintendo SNES) Authentic, Cart Only, Cleaned, Tested, FUN!